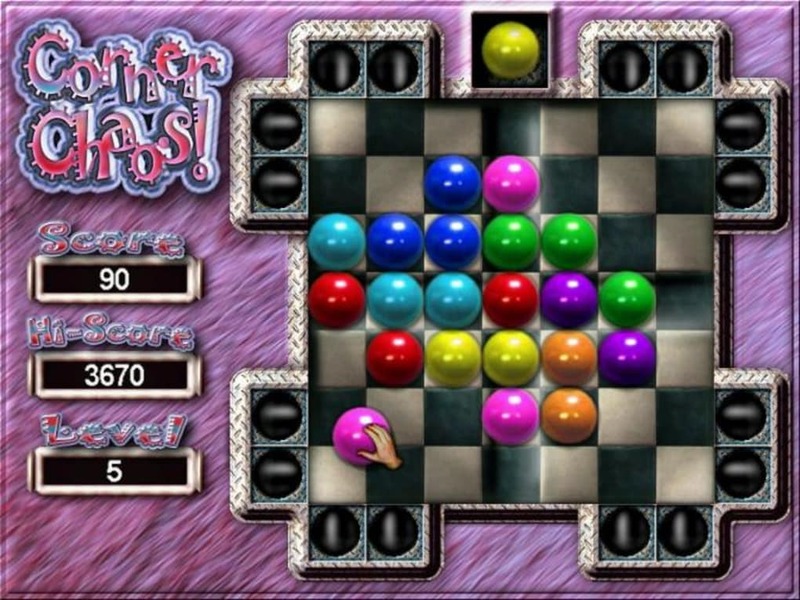 If you like games such as Tetris, then although CornerChaos hardly measures up, it certainly encompasses some of its addictive elements. CornerChaos consists of 4 corners joined by a deep groove into which the balls fall and slide towards the center. Once the balls have slid down the groove, they rest against each other in the center. If four balls of the same color are touching, they're removed from the game. Once all four balls disappear from the CornerChaos interface, you have more space for more balls - which sometimes allows other balls to fall into their place. As the levels progress in CornerChaos, the number of different balls increases, making it more and more difficult to create color groups. On the plus side, there's no rush because you have no time limit to adhere to and the controls are very easy to use. CornerChaos starts off quite gently so that only a small range of colors are used - not all of the 77 balls will be used in each pack. However, you will always notice more red and blue balls compared to other colors, so you can plan for this. Beware that in later levels of CornerChaos, black and brown balls are very rare so be careful with those. CormerChaos is a fun and easy-to-play strategy game that combines some of the fun of Tetris; although the action is pretty slow paced. 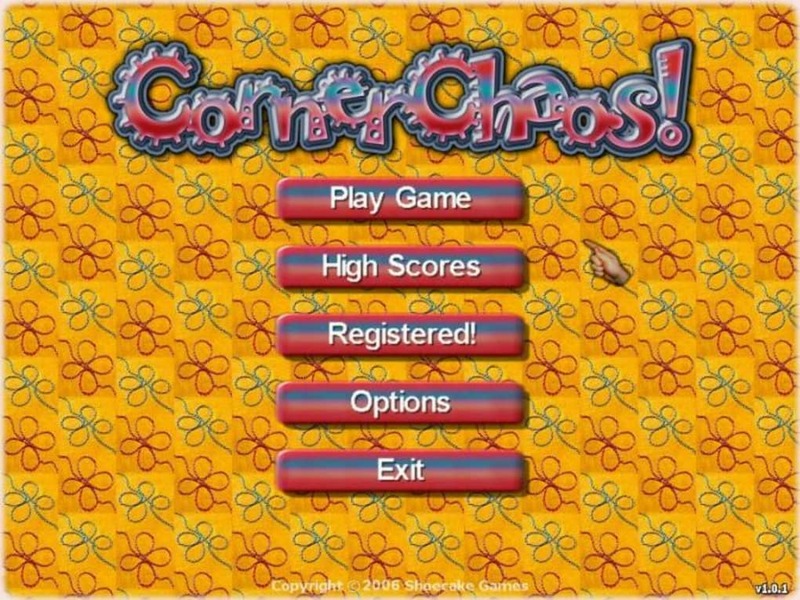 CornerChaos is a new and unique puzzle game. It's very easy to learn and great fun to play. 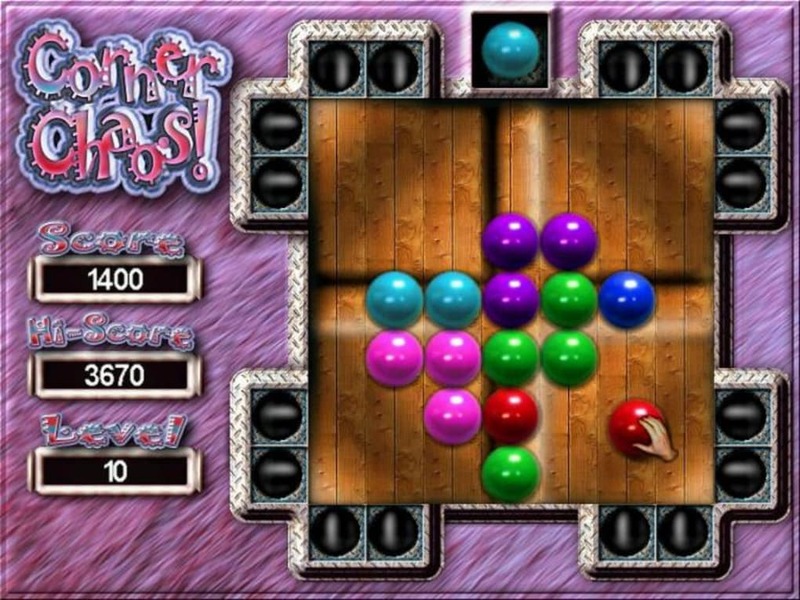 The object of the game is to drop the colored balls into the holes located near the four corners of the play area. The ball then rolls into the sloped arena and lays to rest towards the center. If four balls of the same color are touching, they're immediately removed from the game. What do you think about CornerChaos? Do you recommend it? Why?